Your car's transmission system may not be something you know a ton about, so detecting an issue in this system when it arises can turn into a real challenge. What's worse is that transmission issues that aren't taken care of can turn into very costly repairs. To avoid having to spend your entire paycheck on getting your transmission fixed, check out these tips from AMSOIL Dealer- Carol Bell that will help you detect a transmission issue before it turns into a bigger problem. Fist off, if you don't know what your transmission does then you may have a harder time knowing when it has developed a problem. In basic terms, your transmission ensures the right amount of power goes from your engine to the wheels. 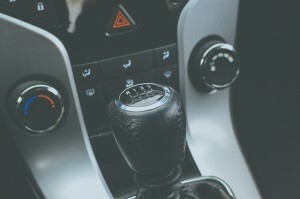 When you change gears whether in an automatic car or a standard car, your transmission is what make sure these changes happen smoothly and correctly. Of course, for this to happen like it's supposed to, your transmission will require maintenance and upkeep just like any other part of your car. If you suspect there is an issue with your transmission, look out for the following signs. A clear sign that indicates there is an issue with your transmission is that your car won't go into gear or it hesitates to do so. Something as simple as shifting from park to drive may take a few seconds to happen if your transmission isn't at its best. Ideally, these types of changes should happen right away without there being any sort of delay between your change and the right gear being engaged. A leak is the clearest sign of an issue, but it can also develop into even more trouble for your car. You may be thinking that a leak is east enough to spot, but how can you be sure it's your transmission fluid that's leaking? Look out for a bright red fluid that is also clear and smells a bit sweet. If your transmission fluid is old, it may also smell a bit burnt. Get this leak fixed as soon as possible in order to avoid the issues caused by driving around with low fluid. If your transmission fluid smells burnt, now is also a good time to flush the fluid and fill up with a brand new bottle. If you're taking the time to check on your transmission fluid, why not also check on your oil? If it's time for your next synthetic oil change in Austin, AMSOIL Dealer- Carol Bell has all the products you need to perform your oil change. They can even recommend products like AMSOIL's Signature Series 0W-40 Synthetic Motor Oil. Give them a call at (512) 658-0357 for more information. It's not normal for your car to shake or jerk while you're driving, so definitely don't ignore these signs. A grinding sound also should't be ignored because it's definitely a sign that something isn't right under the hood. These signs paired with a rough time getting into gear definitely mean your transmission needs to be looked at. There is little strain being put on your car while it's in neutral, so it really shouldn't be making much noise while in this gear. If you notice that is has started becoming very noisy even while in neutral, you have a transmission issue on your hands. Instead of ignoring it and hoping it'll go away, check on your transmission fluid. Fixing this problem could be as easy as changing out the old fluid or topping it off. If this doesn't take care of the problem, parts like the gear teeth or bearings may be worn out and in need of a replacement. Your car slipping out of gear isn't something you should ignore. In fact, your car should never change gears without you telling it to do so. If you notice your car is doing this, get it checked out as soon as possible. Not only does this mean there's an issue in your transmission, it can also put you in a dangerous situation on the road. If you're shopping around for transmission fluid, don't forget to also stock up on synthetic oil. Contact AMSOIL Dealer- Carol Bell at (512) 658-0357 to find both and keep your car in the best shape. Stop by their online store for a full range of the best AMSOIL Oil products.